Home values continue to rise… and you may be wondering how you can maximize your current home’s value if you’re considering a sell in the near future. We’ve put together three quick-hit ways to up the value of your home… fast. This summer is white hot at Lombardo. Don’t forget to RSVP to our White Party at the Tampa Museum of Art on 9/10/17 from 2-6pm. One of the quickest ways to increase the value of your home is to enhance its curb appeal. Now, this might take a little extra elbow-grease (and a good bit of sweat in the summer time), but in the end, the drastic improvements from just a handful of simple upgrades can go a long way in improving your home’s current–and future–value. Plant Flowers and Plants. A quick trip to your local hardware or floral store can offer a wide range of affordable options for new plants. 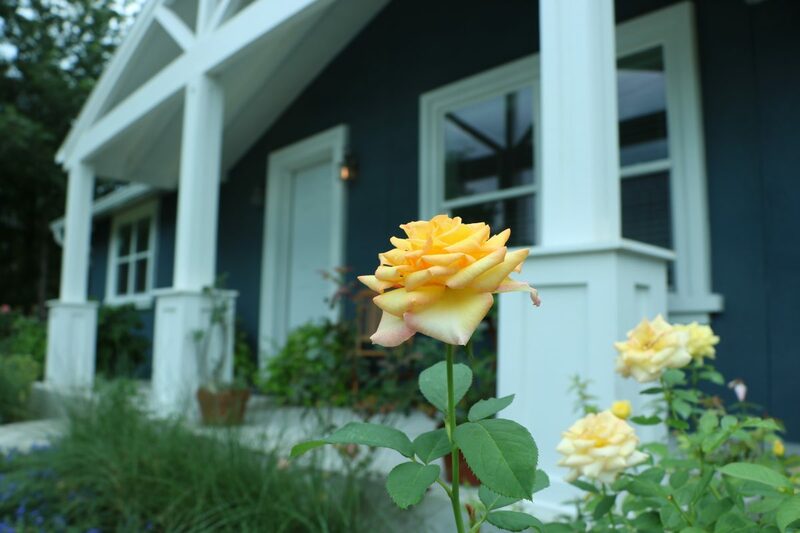 Choose plants and flowers that complement your home’s exterior colors and overall ambience. Gardenia bushes are simple, yet elegant and carry with them a refreshing smell.Succulents and ornamental grasses are good plant choices for a contemporary garden. Interesting flowers like plumerias can add modern, exotic flair to your home. Pressure Wash Your Sidewalk and Driveway. Another great way to improve the curb appeal of your home is to pressure wash your sidewalk or driveway. Removing algae, dirt, and grime can make the exterior of your home look like new. It also offers a welcoming atmosphere for friends and family. Add a Fire Pit for Social Gatherings. A simple, circular stone fire pit is a great way to entertain guests or for a simple night-in with your significant other. As a low maintenance outdoor enhancement option, fire pits are a great way to warm up on cool evenings. As more and more millennials become the primary buyers in today’s real estate market, going wireless–and smart–is of vital importance to bumping the value of your home in the eyes of potential suitors. From entertainment devices to air conditioning to lighting, there are plenty of ways to cut down on the wired electronics and go wireless. Install a Programmable, Smart Thermostat. A great, energy-saving addition to any home is a programmable, smart thermostat. By installing a smart thermostat, you can easily control when to raise and lower temperatures in your home, right from the convenience of your smartphone or computer. Smart Security Systems. Another great item to consider installing to increase your home’s value is a smart security system. Allowing a homeowner to monitor their home from just about anywhere, smart security systems are controllable remotely and come as either full-blown, custom installations or DIY versions. Rather than worrying about major renovations and upgrades, minor, gradual upgrades to your home can quickly add up and positively impact your home’s value. While adding an addition to your home or completely remodeling a kitchen or bathroom are definitely great ideas, they can often feel overwhelming for the average, already-busy homeowner. Simple upgrades that add up can really pay off. Fresh Coat of Paint. One easy way to upgrade your home is to add a fresh coat of paint in a popular, modern color. Fresh paint, modern paint can often convey a sense of style and class in even seemingly “older” homes. Hiring a professional painter or setting aside time for a DIY painting project can be a really rewarding–and relaxing–upgrade to your home. Install Hardwood Floors. More and more rolls of carpet are being ripped up from homes every day in favor of easy-maintenance and elegant flooring options. From wood to tile (and even tile that looks like wood), there are a ton of options available for homeowners today. If you’re up for a challenge, a DIY flooring install can be extremely rewarding (but time-intensive), but hiring a professional can save you a ton of time and (possibly) frustration.